A spectacular night of stand-up comedy, courtesy of UK based Kiwi Jarred Christmas (from Christchurch) and Tez Ilyas (British Muslim) and featuring a stellar line-up of some of comedy’s biggest names. Join us for a night of inclusion and unity; laughing in the face of hate and bigotry whilst raising funds for the victims of the horrendous terrorist attacks on two mosques in Christchurch, New Zealand. 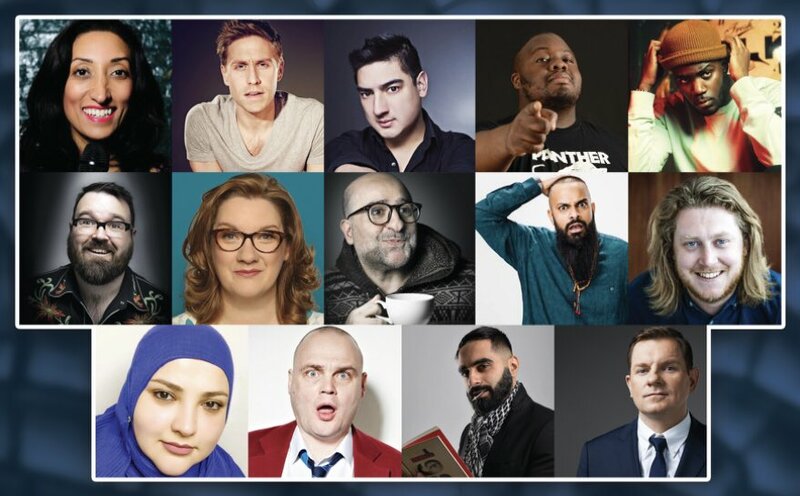 Hosted by award-winning compere Jarred Christmas, the line-up includes: Tez Ilyas, Sarah Millican, Russell Howard, Al Murray, Omid Djalili, Mo Gilligan, Guz Khan, Shazia Mirza, Al Pitcher, Fatiha El-Ghorri, Nabil Abdulrashid, Javier Jarquin and more. All proceeds to Victim Support, New Zealand.